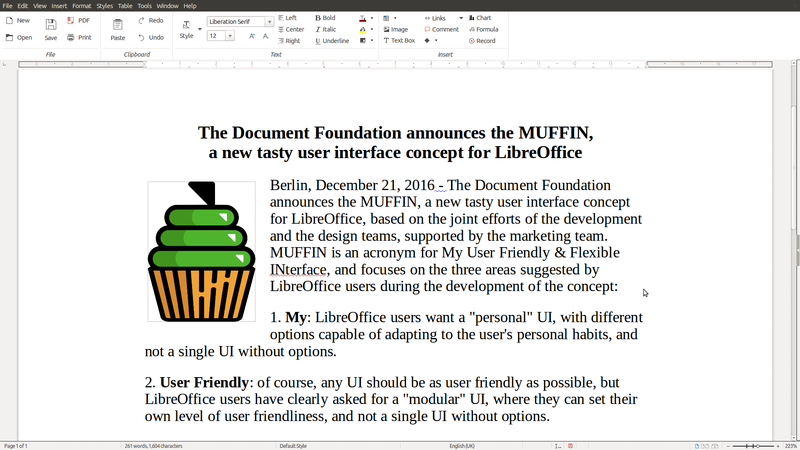 My: LibreOffice users want a “personal” UI, with different options capable of adapting to the user’s personal habits, and not a single UI without options. 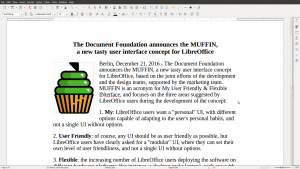 User Friendly: of course, any UI should be as user friendly as possible, but LibreOffice users have clearly asked for a “modular” UI, where they can set their own level of user friendliness, and not a single UI without options. 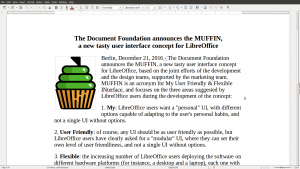 Flexible: the increasing number of LibreOffice users deploying the software on different hardware platforms (for instance, a desktop and a laptop), each one with different characteristics and screen size and resolution, have asked for a UI that can be tweaked to leverage the screen real estate, and not a single UI without options. 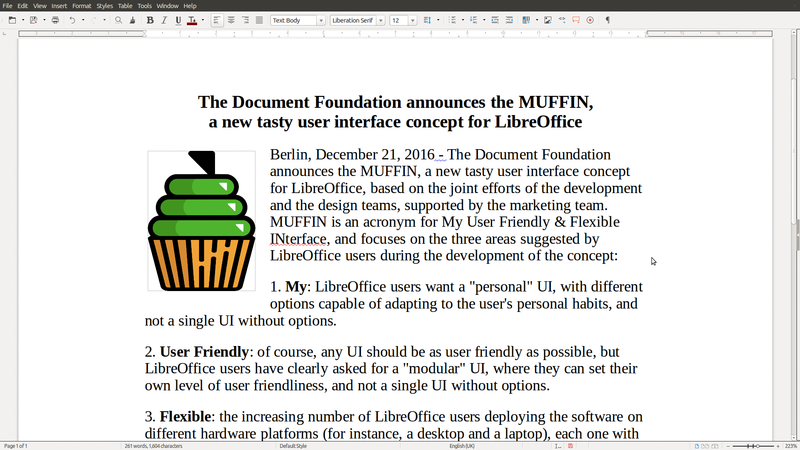 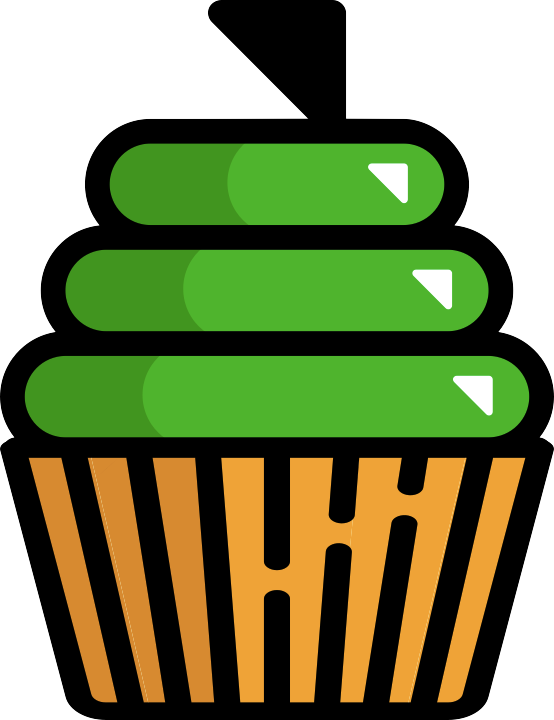 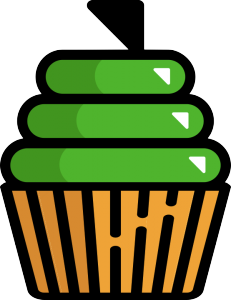 INterface: The MUFFIN concept is the combination of different UI elements, which are going to be available starting from LibreOffice 5.3 either as a standard or experimental feature: the Default UI (with toolbars), a Single Toolbar UI, the Sidebar with a Single Toolbar, and the new Notebookbar (experimental, and not recommended for production use). 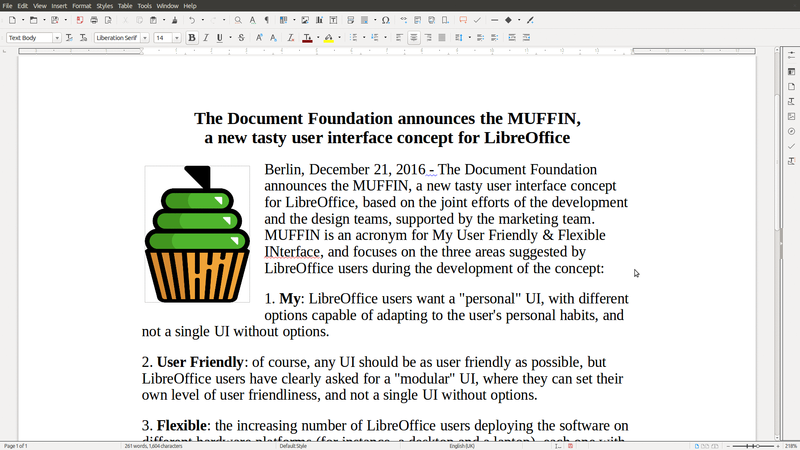 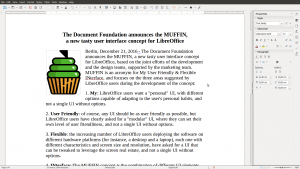 Each UI layout has been thought to serve a different cluster of LibreOffice users. 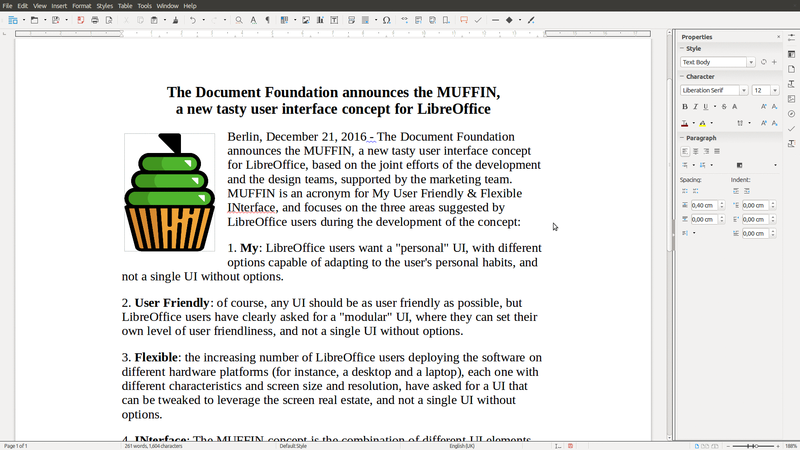 The rationale behind the MUFFIN is further explained in a marketing backgrounder [PDF] and in a specific blog post on TDF Design Blog.